Get outdoors at Solang Valley and Beas River. Hidimba Devi Temple and Gayatri Temple are good opportunities to explore the local culture. There's much more to do: take a memorable drive along Hampta, fly down the slopes at Solang Nullah, admire the sheer force of Jogini Waterfall, and take in the natural beauty of Vashisht Baths. 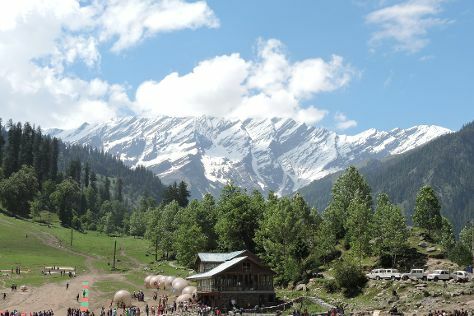 To find traveler tips, maps, and other tourist information, use the Manali trip itinerary planner. Hyderabad to Manali is an approximately 11.5-hour flight. You can also do a combination of flight and taxi; or drive. Finish your sightseeing early on the 5th (Sun) to allow enough time to drive to Chandigarh. Start off your visit on the 6th (Mon): delve into the lush surroundings at Nepli Reserve Forest, then explore the activities along Sukhna Lake, then admire the local landmark of Musical Fountain, and finally contemplate in the serene atmosphere at Golden Temple - Sri Harmandir Sahib. Get ready for a full day of sightseeing on the next day: walk around The Rock Garden of Chandigarh, then ponder the world of politics at Capitol Complex Tourist Centre, then hike along Chandigarh Fitness Trail & Flower Garden, and finally see the interesting displays at Government Museum and Art Gallery. To see traveler tips, ratings, maps, and more tourist information, go to the Chandigarh holiday planner. Getting from Manali to Chandigarh by car takes about 5 hours. Other options: take a bus. 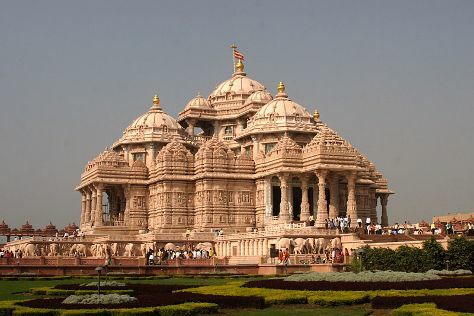 Finish your sightseeing early on the 7th (Tue) to allow enough time to travel to New Delhi. Humayun's Tomb and Gurudwara Bangla Sahib are good opportunities to explore the local culture. The adventure continues: make a trip to India Gate, appreciate the extensive heritage of Lodhi Garden, admire the landmark architecture of Friday Mosque (Jama Masjid), and contemplate the long history of Sabz Burj. To see other places to visit, reviews, traveler tips, and more tourist information, use the New Delhi trip planning website . Traveling by flight from Chandigarh to New Delhi takes 3 hours. Alternatively, you can drive; or take a train. May in New Delhi sees daily highs of 47°C and lows of 30°C at night. Finish your sightseeing early on the 10th (Fri) to allow enough time to travel to Varanasi. Kick off your visit on the 11th (Sat): take in the local highlights with Walking tours, then contemplate in the serene atmosphere at Banaras Ghats, and then explore the activities along Ganges River. To find reviews, other places to visit, more things to do, and tourist information, use the Varanasi trip planner . Traveling by flight from New Delhi to Varanasi takes 3.5 hours. Alternatively, you can drive; or take a train. In May, plan for daily highs up to 47°C, and evening lows to 31°C. Wrap up your sightseeing on the 11th (Sat) early enough to travel back home.